Why Ski in Poland and why Snowboard in Poland? Why should you choose Sunshine World to book your Holidays in Poland? Is Poland The Best Value Ski Destination in The World Right Now? 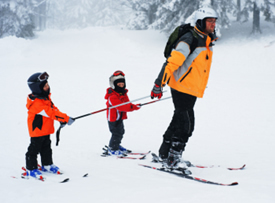 How welcoming is YOUR favourite winter resort? 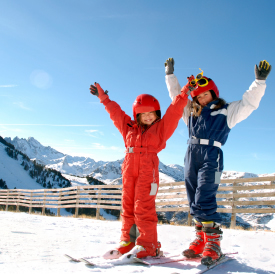 It's a question everyone will be asking about this winter: "Where can we get the very best value for money for our ski/ snowboarding holiday this season?". There are of course many opinions on this subject. You might rightly say that my views are heavily influenced by the fact that I run a skiing holiday company in Poland. My company also offers skiing and snowboarding holidays in Italy, France, Austria, Slovakia, Slovenia, Bosnia and New Zealand though so maybe my enthusiasm about the value of Poland is not so misplaced after all. And I'm half French so if I were biassed it should be in favour of the country of my birth and the largest ski areas in the whole world in the French Alps. The British half of me may possibly have helped balance any patriotic ideas in favour of La France. I have worked continually around the world in the holiday industry for the last 9 years in the greatest ski resorts in existence, from Whistler, Canada to the 3 Valleys in the French Alps and Zermatt in Switzerland. There is no doubt that the resorts in these places top anything else which is available at a lower price. Herein lies the key however. Of course if money were no object we would all be putting our feet up on a first class plane ticket to Vancouver this February for 3 weeks stay in the Presidential Suite at the Chateau Whistler. Or taking a private helicopter or jet to the famous airstrip in Courchevel 1850 to stay at Roman Abramovich's latest purchase the Byblos des Neiges. Dreaming of these extravagances aside however we must come back to the original question- where is it that we can get the very best VALUE? Poland is certainly a place that people will not be surprised to hear has LOW prices. What people are MUCH more surprised about is the exceptional quality of services and life in this cut-price nation. Zakopane is as instantly connected in all polish minds with skiing as Meribel and Megeve and Les Gets may spring to mind for a French or even British skiier. This beautiful and very large ski town has over 2 million visitors a year. It is a well kept Polish secret however as arguably 90% of the people visiting are from Poland. It may be reminiscent of what many of the Big Name resorts around the world must have been like before people travelled abroad so much maybe 40 years ago. Zakopane is however completely modernised and up to date with the very latest of the brand new all available (and at least half the price of what we'd be paying in any alpine resort! )- 4 and 5 star Spa Hotels, Bowling alleys, cinemas, modernised nightclubs, a 2KM pedestrianised high street with brands like Diesel, Rossignol and Oakley sporting their goods, romantic Ice rinks and parks, 24 hour very cheap taxis and gastronomic restaurant experiences like the Ziemianska restaurant at the Belvedere**** Resort and Spa (at prices comparable to Pizza Express back home!) all make Zakopane a true contender for best ski resort in the world when we take the prices into the equation. The best ski areas around Zakopane have the latest Doppelmayr lifts with rolling mats and comfy padded seats and windbreakers. They have the latest snowmaking technology and fantastic traditional mountain restaurants which serve hearty, warming meals of freshly prepared and locally sourced lamb, pork, potatoes, casseroles, speciality cheeses and soups. A true culinary dream with table service for just £10 per person for 3 courses and a drink! Compare that with 32 Euros for a Spag Bol in one of the big self serve canteens in Val D'Isere last season. 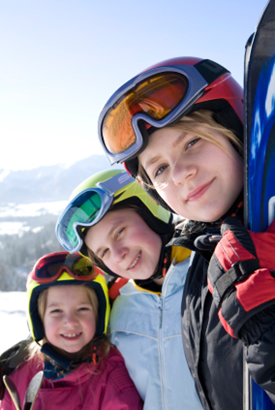 Ski/ snowboard instruction is only £15 for a private for an hour. Lift passes work on a pay as you go system so beginners can easily get away with paying just £5 for a full day on the nursery slopes while experts have the option of skiing from 9am until 10pm if they had legs of steel for just 70zl (about £16 currently) as the strong floodlights at Bialka Tatzanska stay on to that time EVERY day of the season. A full service all inclusive holiday in a traditional Zakopane catered chalet with my company costs from just £375pp for a family of 4 this season and flights from across the UK and Ireland to Krakow are available for as little as £40pp return including taxes if you get in early and travel between mid January and mid February. Check out www.sunshineworld.co.uk for details and you will see that while we offer the elite packages in the French alps, my enthusiasm for Poland is purely because I truly believe it to be the best value winter holiday for the 2009- 2010 season period. The shackles of the nazis and communism long cast aside it's time to see what today's Poland is all about. Soon the whole world will see that we have probably been underestimating our Polish friends for a long time. Indeed Polish people themselves have always seemed too modest to me about their own great nation. Let's not forget that Poland is also outside the Eurozone and the British £ and Irish Euro are even stronger this year than last against the Zloty. The only question is can you afford to splash out on that 5* trip to Whistler or not this year? I have been skiing and snowboarding all over the world for 20 years now- professionally for 7 years. Over the years I have experienced many a wonderful moment in many of the most magical resorts in the world. Some have been outstanding in their personal service and resonated with an electric energy. Others felt as though I was an unwanted minority who was seen to be invading the locals' cherished lands. I believe the answer lies within Eastern Euope. Countries such as Poland, which has recently joined the EU, are developing at an alarming rate. They have great ski resorts yet prices are a third of those in Western Euope! A family owned, independent British company, Sunshine World (www.sunshineworld.co.uk), has paved the way for a new generation of skiers and boarders to have access to their favourite sports for prices more comparable to surfing than skiing! There is plenty of room for everyone else to join the party and investment opportunities are abundant in this largely undiscovered wonderland. I am not Polish (indeed I'm half French- home to many of the big name resorts which we Sunshine World offers AND I would recommend steering clear of if looking for the best value for money) and indeed have no interest in promoting Polish interests - I merely wish to be honest about what I consider to be the best value holidays in Euope. A Forgotten Giant- Zakopane Ski and Snowboard resort, Poland "Prices are as low as they go- Yet the standards are much higher than other eastern bloc ski countries such as Bulgaria and Romania." - John Hill, Editor, The Good Ski Guide, in his review of Zakopane in February 2006. Zakopane, Poland's "winter capital", was once regarded as one of the best ski resorts in the World back in 1939 and played host to some of the first ever international winter sports competitions. After 1939 the tragic history is well documented and it is this history which has led to Poland not being able to promote itself as smoothly and expertly as its more fortunate western neighbours. The foundations of this great skiing nation are still strong and getting stronger year on year. Ex-ski jumping 3 time World Champion (2001,02 +03) Adam Malysz was born and grew up training in the Tatra mountains in southern Poland. While the infrastructure is not quite as well developed as the 3 Valleys, Whistler or Paradiski the prices certainly don't reflect how great a time you can have compared to the big name resorts. There are many great nightclubs, bars, restaurants and shops in Zakopane and an unusually large (for a ski resort) permanent poplulation of over 80,000 largely very friendly and welcoming people. We all know how quickly Ireland's economy accelerated after joining the EU and already many of their savvy and powerful countrymen and women have been investing heavily in the main Polish cities such as Warsaw (the capital) and Krakow as well as Zakopane to a lesser extent. Poland is among the new EU member countries which joined in 2004 and the benefits are already evident with new roads, shopping centres, and buildings springing up across the country. Poland is expecting to join the Euro around 2010-2012. The future is certainly bright. Poland was the first of the ex-Eastern Bloc countries to break from communism back in 1989 under the Solidarity movement and was certainly an inspirational catalyst for many other ex-communist countries to follow suit. The Polish political situation is by no means as stable as some western Euope countries but it is certainly much more democratic than most of us might presume. There are over 35 million Polish people in Poland and well over 15 million Poles working outside of Poland. It's estimated that well over a million Poles are working here in the UK and Ireland. Poland is by no means a country weakened by its tough history. Indeed the population seem to have grown wiser and stronger through the hard times- similarly to our grandparents who fought in World War II. I believe that to underestimate Poland today is to miss out on being able to take advantage of a massively undervalued ecnomy. Short of World War III the Polish economy will continue to balance-out with (and maybe one day overtake) the countries to its west. Often caught between the geopolitical forces of east and west, Poland has mastered the subtle arts of survival. For more than a millennium, Poland has played a vital role in Euope history. The country’s position in the heart of euope has always made it a bridge between the two great cultures on its eastern and western flanks. The resulting diversity of influences has helped to shape the mentality of the people, who are tolerant of differing opinions and ways of life, yet open-minded about new ideas and hospitable towards strangers. Neither Oppression nor the centuries of brutal violence perpetrated by neighbouring countries have succeeded in stifling Poland’s liberal spirit. Even during times of upheaval, when the country was obliterated from the map of europe, the safeguarding of national culture, the recollection of a glorious past, Christian-humanistic traditions and solidarity remained at the forefront of the collective memory. These values still abound, and in such a climate there has never been room for any one “truth” or a monopoly of any one doctrine. The Poles have never allowed their liberty to be curtailed. Poland has so much to offer – seaside resorts by the Baltic, hill-walking, skiing and snowboarding in the High Tatra Mountains, canoeing on the rivers and lakes of Mazuria, strolling through the Old Town in the historic city of Gdansk, touring the monuments of Krakow or enjoying a beer in Old Market Square in Warsaw, the nation’s capital. In recent years, Poland’s appeal as a holiday destination has grown, as the range of accommodation has improved. Now the choice runs from luxury hotels with swimming pool and fitness suites to rooms in a private house, living with a Polish family, to camping by a lake. If you are looking for some adventurous outdoor activities, then Poland is just the place. You can explore the countryside on foot, by bike, on horseback or by boat. Hunters and anglers have also discovered the special attractions that Poland can offer. If wildlife is one of your passions, then there is a good chance you will catch a glimpse of some unusual species. Zakopane, in the Tatra Mountains, in particular is particularly well equipped for offering all manner of activities from the serene to the extreme all year round. As well as natural treasures, Poland possesses some imposing buildings: the Teutonic Knight’s castle at Malbork or the magnificent complex on the Wawel in Krakow. The Old Town in Warsaw and the heart of ancient Gdansk have been rebuilt to their former splendour. "In a nutshell Poland has many priceless features. The fact that prices are three times cheaper than Western Euope is a huge bonus. I very much look forward to helping you explore this unique and inspiring country with the help of the locals and Sunshine World!" I do not like to climb mountain with thick snow but I rlaely enjoy seeing the snow covered scenery and I like to live in the beautiful cottages.To breathe the pure clean mountain air with enough oxygen is much too good for people's health.